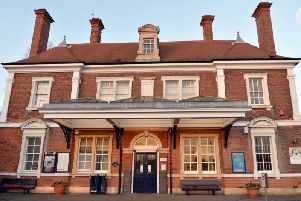 The leader of Harborough District Council says he is pleased that a major project to improve Market Harborough’s railway station remains a “top priority” for Network Rail. In January, Councillor Neil Bannister asked for assurances from Network Rail around proposed improvements to Market Harborough railway station. following the collapse of Carillion, the firm involved in the project. Cllr Bannister raised concerns that much-needed improvements to the station and car park could be affected, and asked for assurances the project would continue as planned. But in a letter to Cllr Bannister, received this week, Network Rail said that it was continuing to work hard to provide continuity for the project at Market Harborough and that this will continue to be a “top priority”. Network Rail said that many of the contracts previously operated by Carillion, such as the Market Harborough scheme, have now been acquired by Amey Rail and that it was working to “keep up the momentum required to deliver the project”. Cllr Bannister said: “Clearly this is not an ideal situation but I am pleased that Network Rail understands the importance of this project and is working hard to ensure it goes ahead. The £54m upgrade of the station includes track-straightening, better parking, longer platforms and step-free access via a new footbridge, complete with lifts.